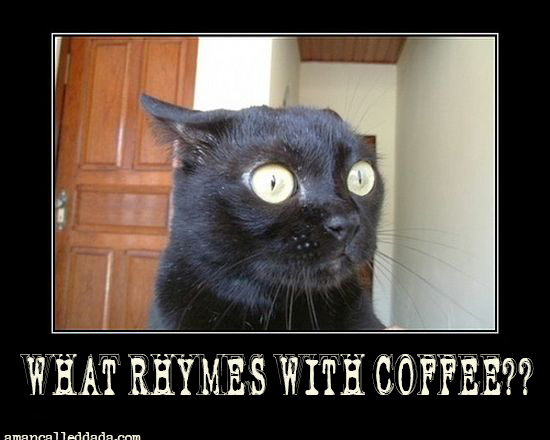 Tuesday's cat... can't find a rhyme for coffee. Wednesday's cat is full of NO. Thursday's cat needs a cup-o-joe. Friday's cat gets drunk and goes home. Saturday's cat is off to Nome. is happy to find you sized for fun. It's Friday. Launch the Pineapples.